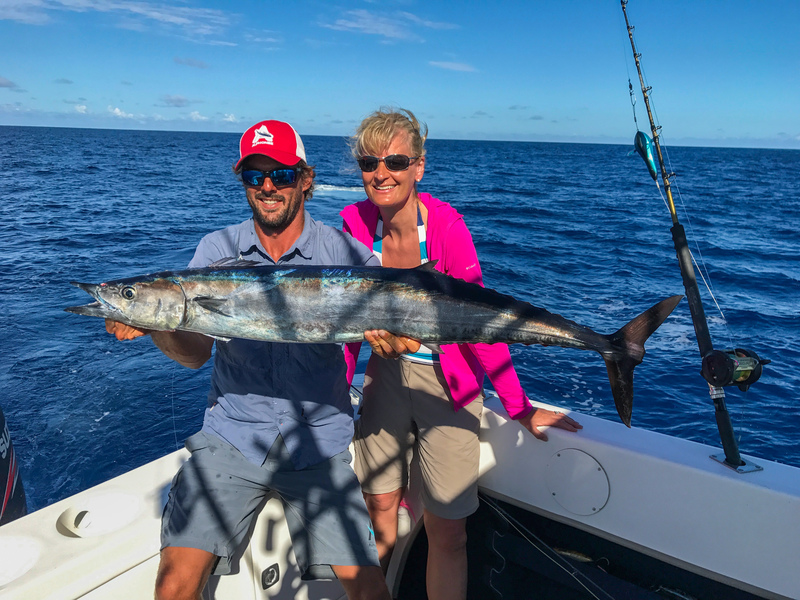 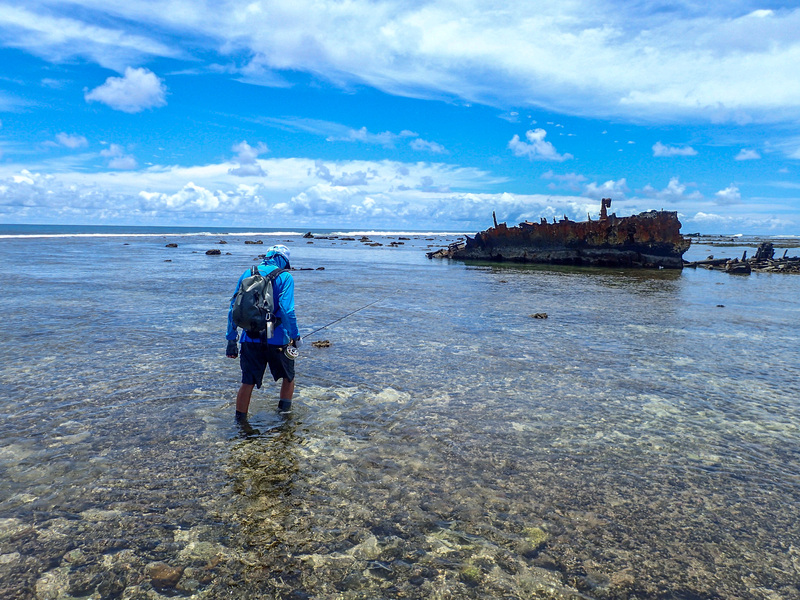 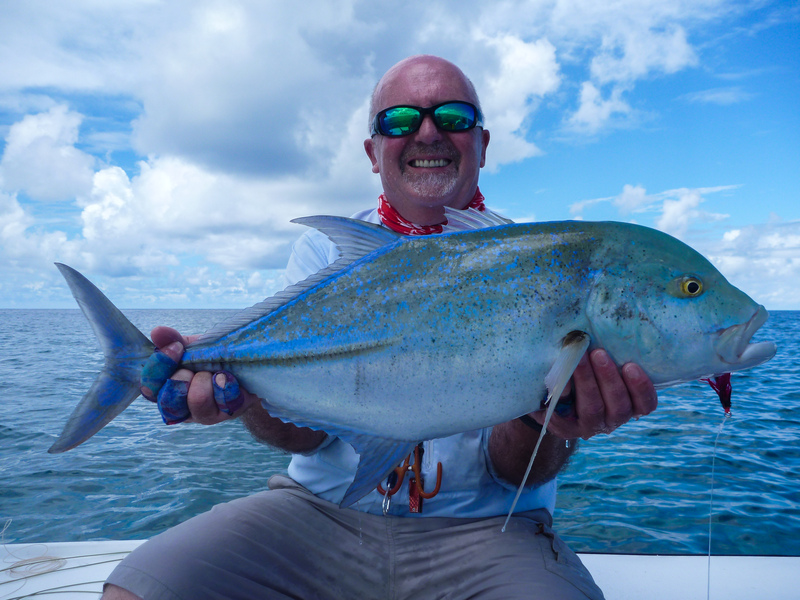 Another memorable week of fishing at Alphonse Island after the bad weather system that had hindered fishing for the past days finally moving off, heralding clear skies and bright sunshine. 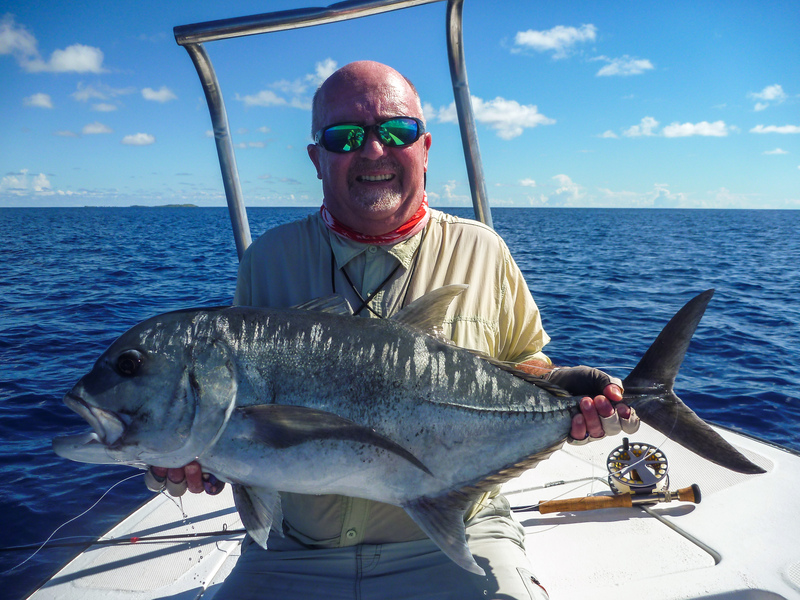 With the majority of the week’s anglers being return guests their sights were set on targeting more of the challenging trophy species on offer. 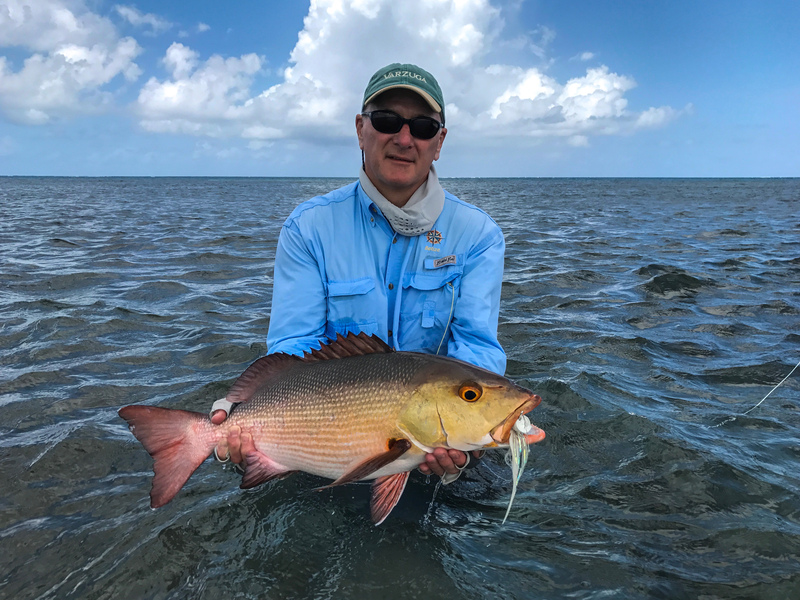 During the first few days, the tides were ideal for targeting GTs. 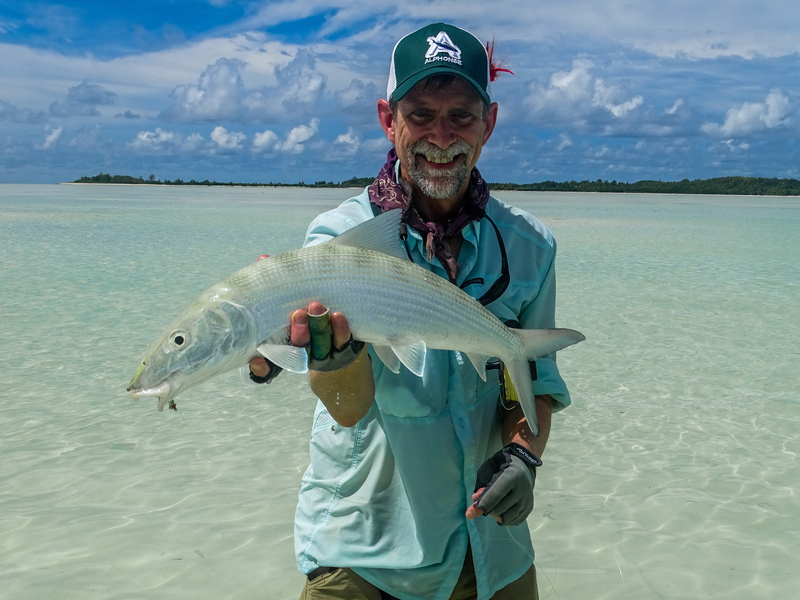 The vast spring-tide ebbs also provided some great Bonefish action as well as a chance to walk the surf seeking Triggerfish and GT’s. 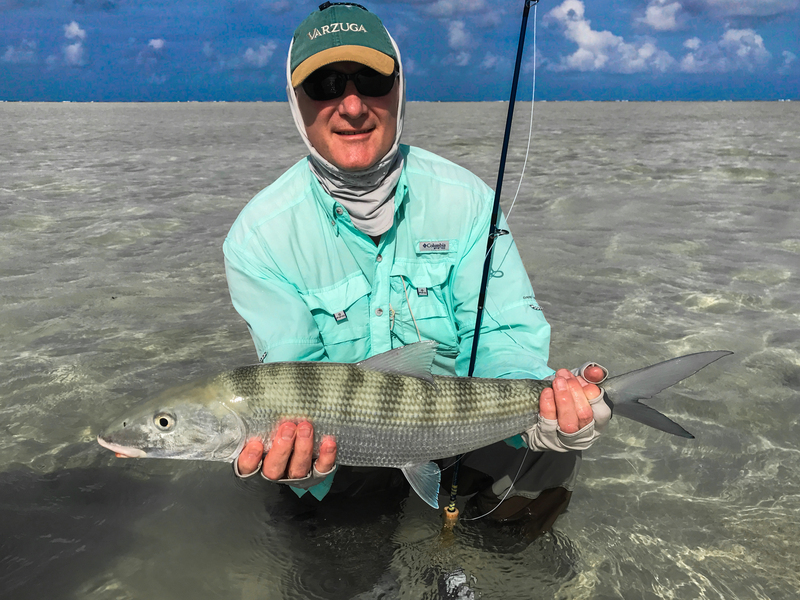 As the week progressed, the early morning high tide allowed for GT scouting around the high spots that create a refuge for Baitfish. 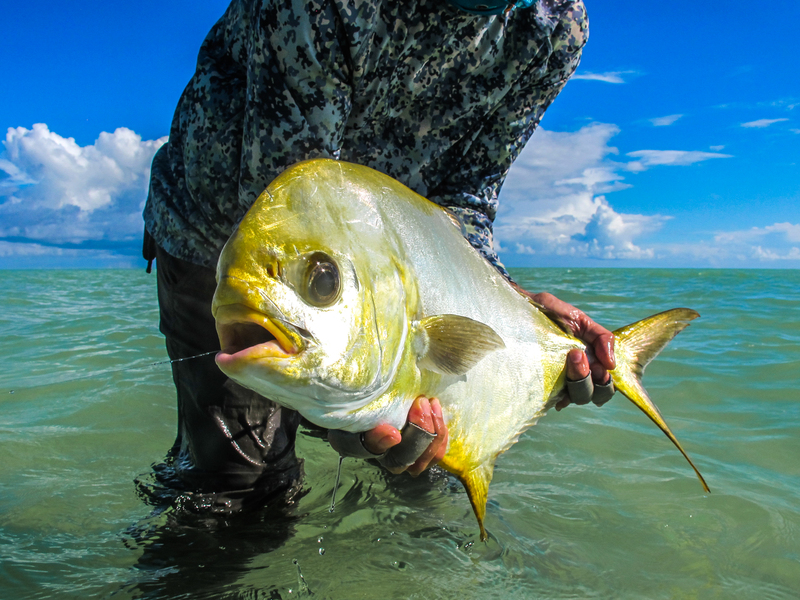 Not only were these tides ideal apex predators, but also favorable for targeting permit that push all the way up the flats to feed and then slowly follow the dropping tide as it subsides back into the lagoon. 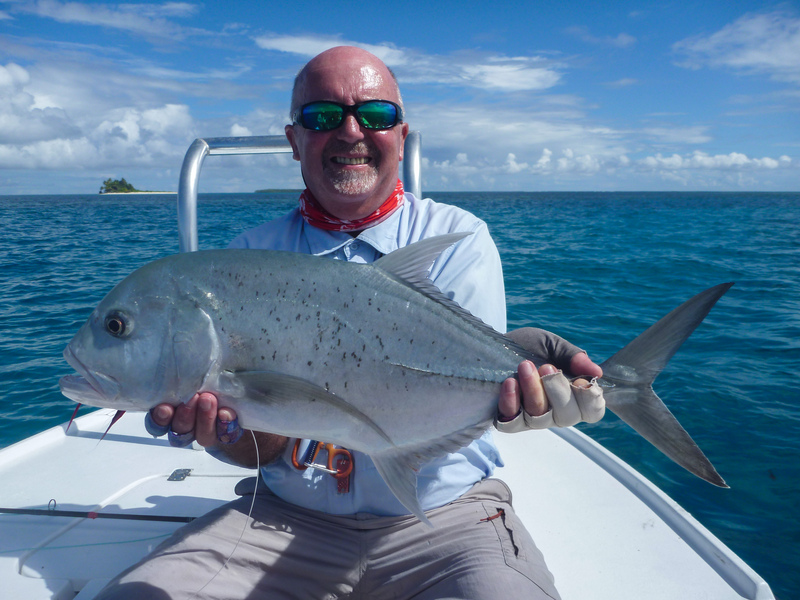 The week got off to a flying start with Ron B, Tony C, Tripp and Keller H all landing GT’s on the first day. 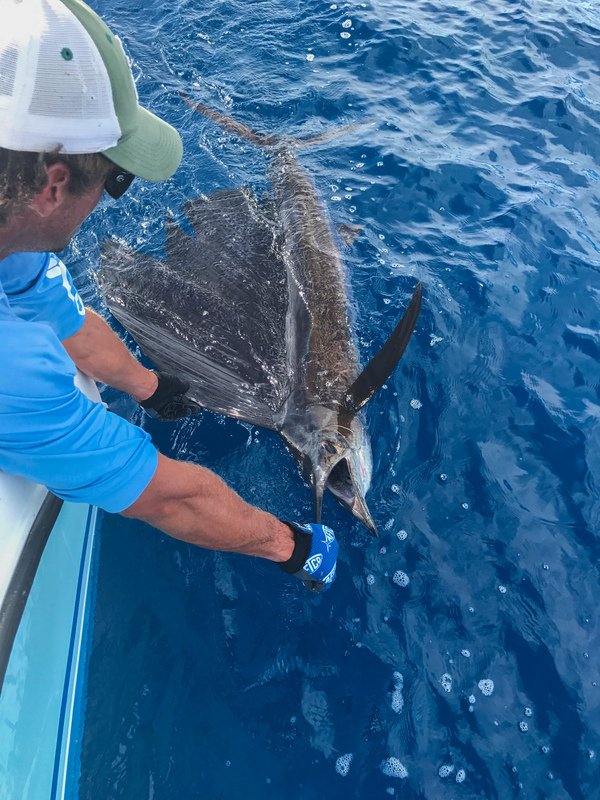 As the week progressed the GT catches continued with Braden H, Brian McL, Philip and Wouter v. R. all making their mark. 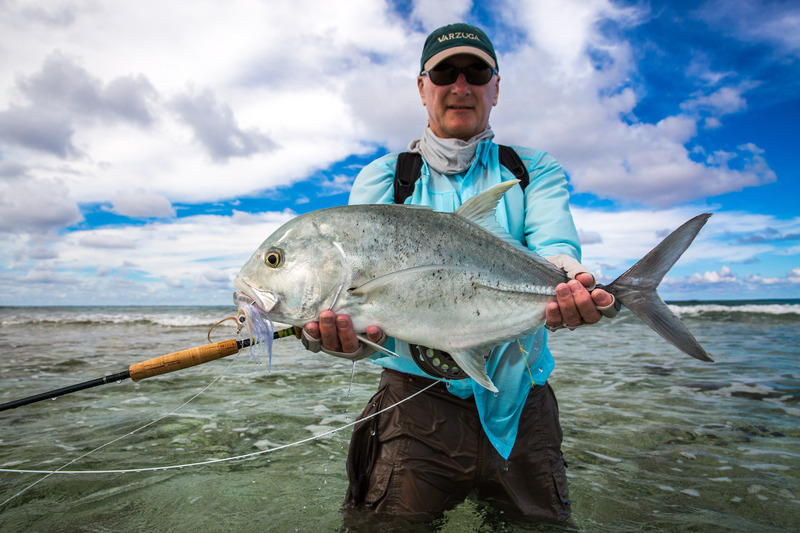 At the end of the week, an impressive tally of 11 GT’s had been landed. 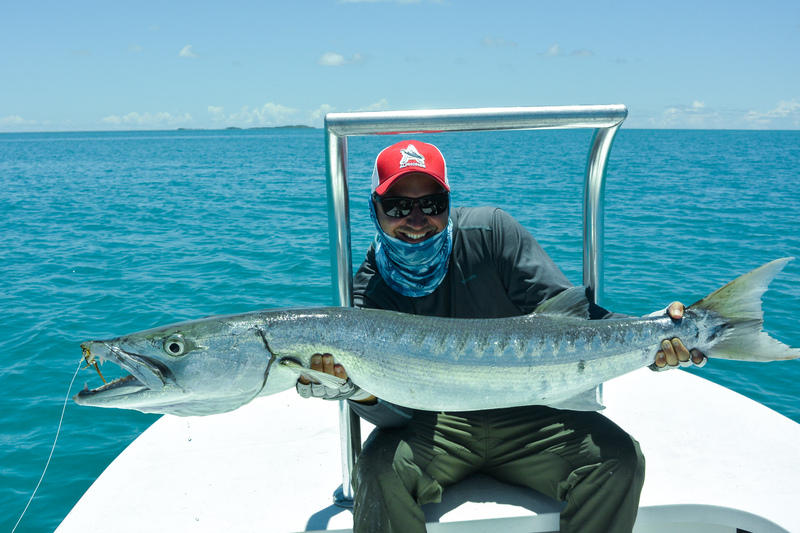 To add to the variety Braden H managed to land a monster Barracuda measuring 143cm without a wire trace. 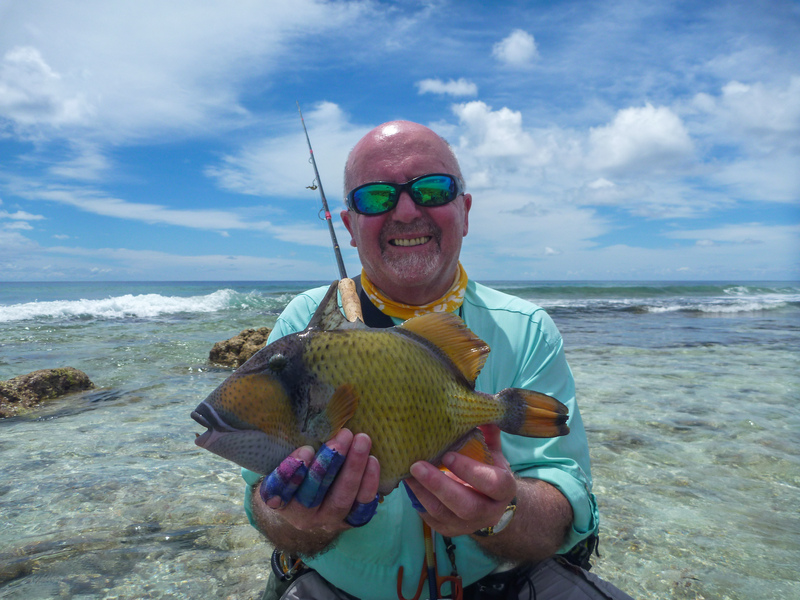 Brian McL, Tom A, and Wouter v. R. all landed a Moustache Triggerfish each and Philip v.R. 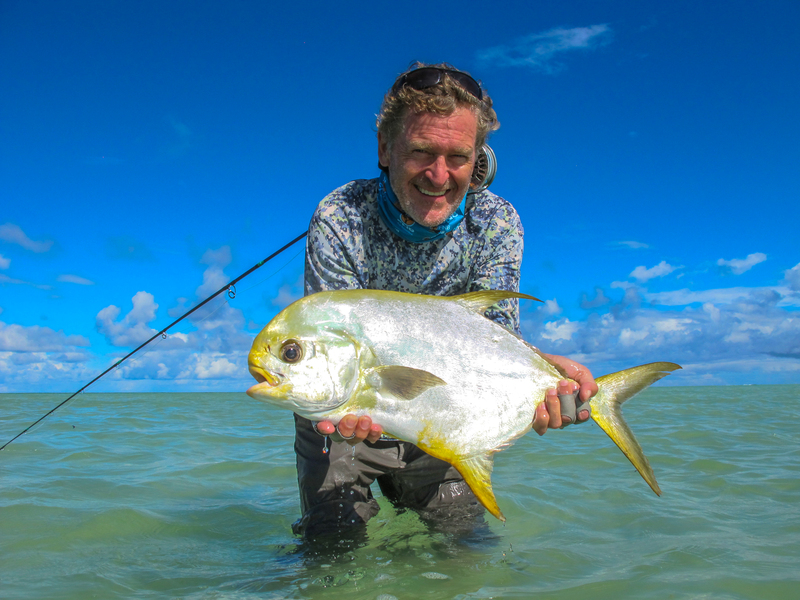 struck gold when he tricked a beautiful 56cm Indo-Pacific Permit into eating his fly. 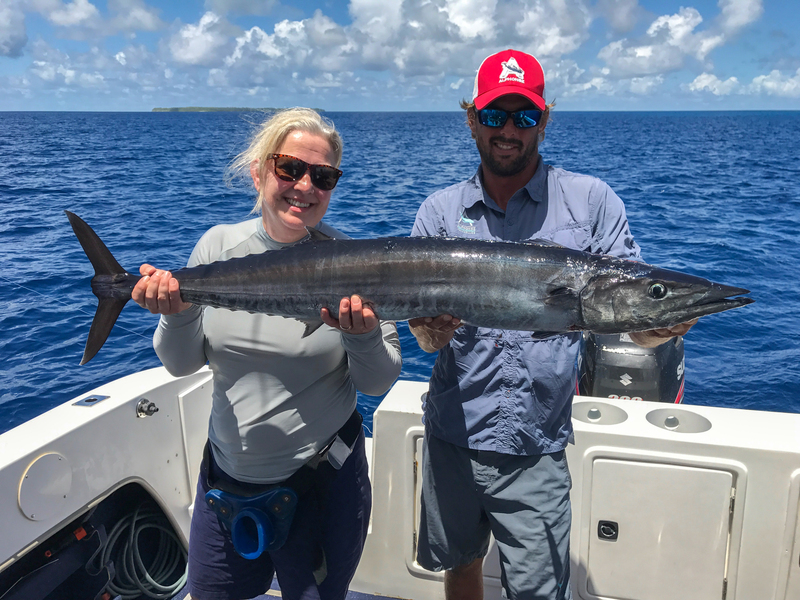 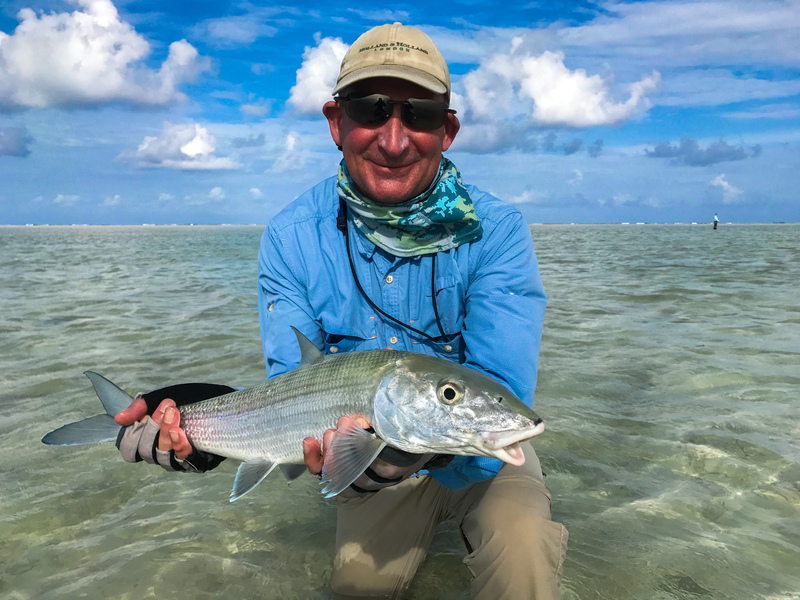 An impressive tally of 249 Bonefish for the week shows just how good the fishery is and Wouter’s ‘Flats Slam’ comprising of a single day’s catch of a GT, Triggerfish and a Bonefish made for an amazing end to the week. 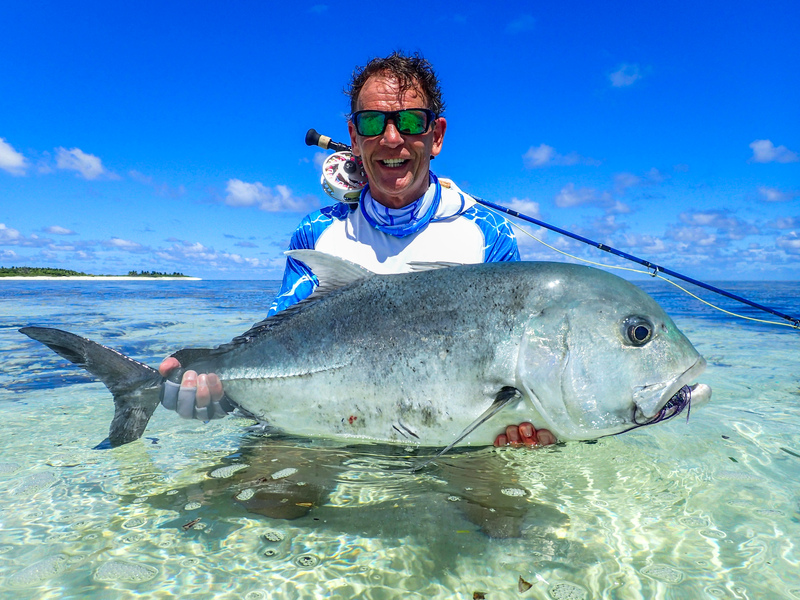 Once again it was a real pleasure to share the beauty and diversity of this atoll with a fantastic group of guests, many of whom are staying for a while longer to hopefully bend the rod some more. 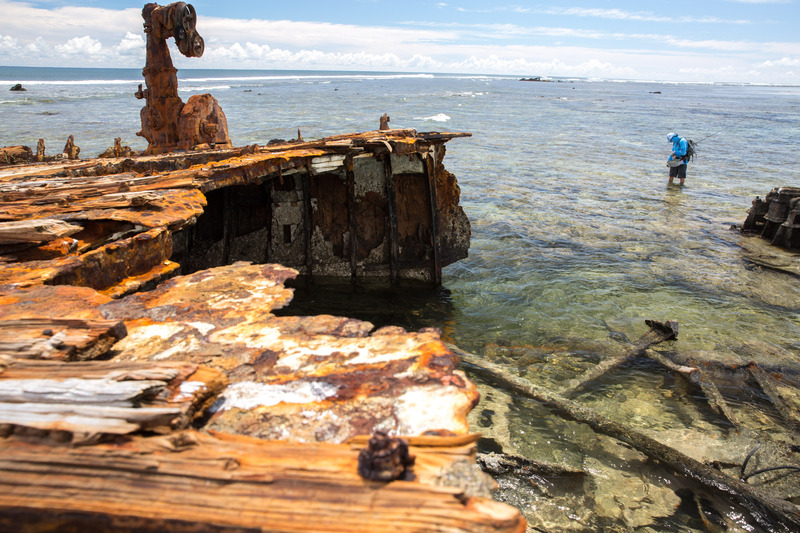 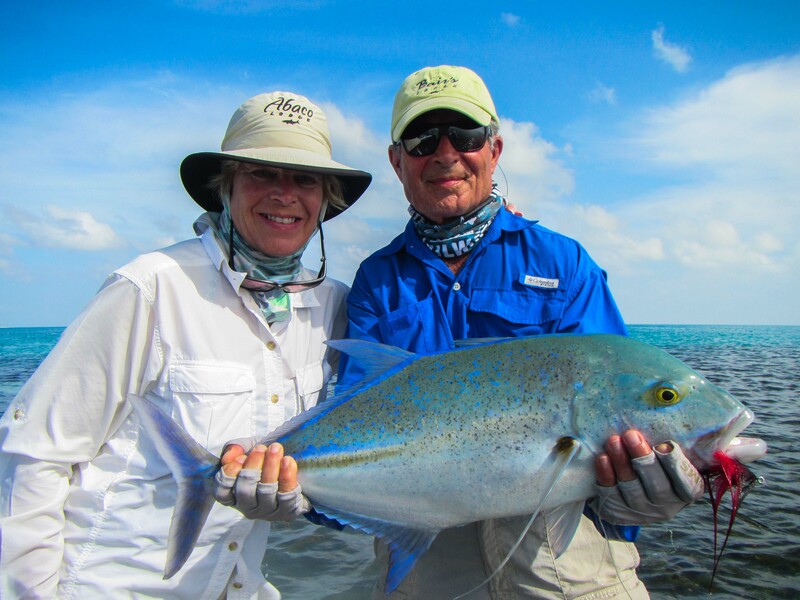 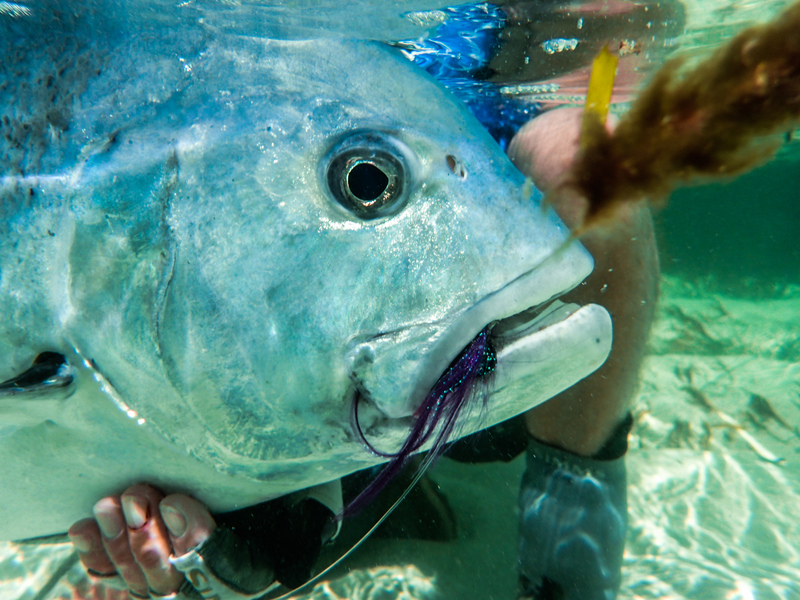 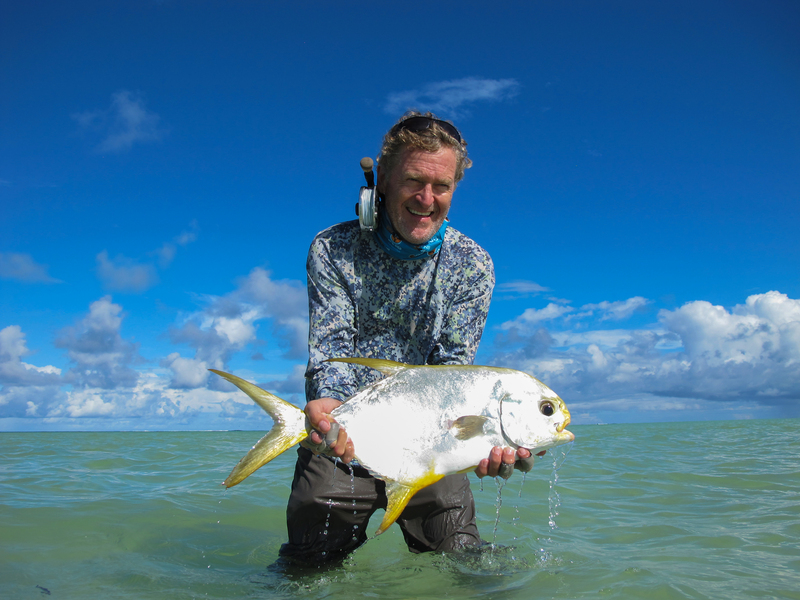 Find out more about Fly Fishing at the Alphonse atoll.